When it comes to Google-powered social networking, its track record hasn't been so great. Today, though, a new social service has been announced by El Goog: Google+. It's been a long-time coming, and judging by what I've seen thus far, it looks like it won't disappoint. In my opinion, it's the social network to save us from social networks by adding a very real-world feel to the mix. Google has clearly put a lot of thought into how to incorporate our virtual life with the way we do things in the real world. In order to give users of common interest a place to aggregate and babble relentlessly about the things that matter to them, Google+ offers a feature called Sparks. Using keywords, you add the things that you love to talk about, so you can share interests amongst friends. When it comes to our friends, talking face-to-face is the only way to go. 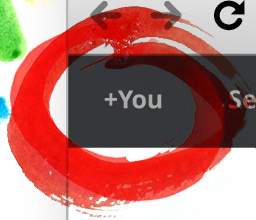 For that, Google+ has Hangouts: a place where users of similar Circles can join together to video chat with each other. This could be a potentially great way for friends to hang out together, regardless of the distance between them. Honestly, I can already see so many great uses for Google+, and it's barely in its beta stages. The service is slowly being rolled out to users who sign up, but will be expanded to cover everyone as more features are added. You can sign up for here, and grab the app (which is useless if you haven't been invited to the service) from the Android Market.